Consider meeting up with other Greenwood Business people on LinkedIn. Manny Caruso has set up a LinkedIn Group for you to join. Fulfill your desire for a life-long change through hypnosis and personal break though coaching. Learn how to eliminate bad habits, dissolve fears and phobias, release negative energy and limiting beliefs. We, at B.K. 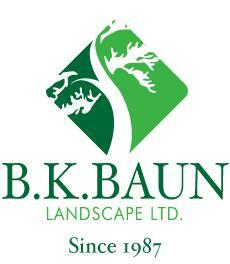 Baun Landscape Ltd. take great pride and satisfaction in our workmanship. With a highly qualified staff of skilled tradespeople, horticulturists, and designers, we strive for excellence to ensure complete job satisfaction. Using only the highest quality of materials and workmanship we can create your landscape desires. B.K. Baun Landscape Ltd. is a design/build firm which allows us to design as well as construct a landscape project. This enables our clients to deal with one organization throughout their entire landscape project. Together we can obtain overall goals and projected budgets. Our company completes higher quality residential, commercial and municipal projects. Peter Shatalow is a film/video director/editor with a proven track record, known for producing award winning documentaries, feature films and corporate communication. I can take a project from concept to completion, while keeping costs low. I am always looking for challenging projects. Founded by Thomas Gifford AACI in 1982 Gifford Appraisals provides clients with a reponsive and personalized service. The fully qualified staff of Appraisers is equipped to undertake a complete range of real estate appraisal services including negotiations of rights of way,easement, partial takings, mortgage lending and division of assets. The congregations of the Greenwood and Mt. Zion United Church Pastoral Charge are a caring, loving community, committed to scripture study and spiritual growth, proclaiming their belief in God and Jesus Christ through worship. Our mission is to reach out to the community offering friendship and comfort, strengthening and upholding all who share our fellowship. Our team brings a wealth of experience to the Greenwood community. We provide a range of year-wide programming with a focus on community building. We are online results specialists. We created a unique system for entrepreneurial business owners and their marketing decision makers called The Targeted Insite Solution™ It provides the insite you need to attract and continuously engage your target audience. Insiteful Solutions was established in 2002, and specializes in Web Design, online Marketing, and E-commerce. We provide- Targeted Internet Results. With over 20 years of teaching experience, I travel to your home or lessons can be taught at my home in Greenwood. Graduate of York University (BFA) and Humber College (Performance and Composition). I teach all types of music, from popular, classical and others including RCM exam preparation. Ages 4 and up at all levels, including adults. I have an annual piano recital in June for students to perform. Excellent references from current and former students. Ask for your free consultation. Printing, Copying, Graphics and Bindery Services. Bindery includes cerlox, plasticoil, stapling, numbering, padding. Also available: lamination, self inking and rubber stamps. We would like to include a listing for your business and would appreciate your assistance in reaching out to other neighbours, community associations and local companies that might be interested. The more robust and detailed this site is, the more useful a community resource it will be. On this website, the Business listings will be free and updated quarterly. In future years, there may also be an opportunity for banner advertising.